This paper extended the range of application of Planck's 1900 quantum hypothesis. In order to explain his law of black body radiation, which had been well-verified empirically, Planck was forced to assume that oscillators interacting with the electromagnetic field could only emit and/or absorb energy in discrete units, which he called quanta of energy. 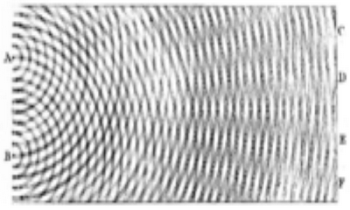 The energy of these quanta was proportional to the frequency of the oscillator: E = hf. But Planck believed, in accord with Maxwell's theory, that the energy of the electromagnetic field itself could change continuously. "When at the beginning of your last paper, you formulate your heuristic standpoint to the effect that radiant energy can be absorbed and emitted only in specific finite quanta, I have no objections to make; all of your applications also agree with this formulation. Now, this is not a characteristic of electromagnetic process in vacuum but rather of the emitting or absorbing matter, and hence radiation does not consist of light quanta as it says in §6 of your first paper; rather, it is only when it is exchanging energy with matter that it behaves as if it consisted of them." But indeed the boss did agree with his assistant. I am guessing that most people assume that Einstein was right and Planck was wrong, but that is not the case. Quantum mechanics teaches that light is quantized when observed, meaning when emitted or absorbed. Light in a vacuum has wave properties, and is definitely not a particle. So Planck's 1900 view is quite close to our modern quantum mechanical view. Einstein's 1905 heuristic was an interesting proposal, but it never led to the revolution that he hoped. In fact, Planck was the first scientist to notice Einstein's relativity paper. Einstein's paper on relativity, received by the Annalen der Physik at the end of June 1905 was already in print by 26 September. And as early of November 1905 Planck had reported favorably on it. Planck was a big help to Einstein's career. Planck apparently did not notice the much more important relativity paper of June 5, 1905 by Henri Poincaré. 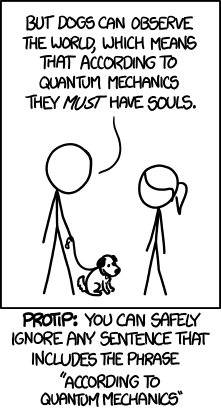 Here is an xkcd cartoon. Quantum mechanics must be the most important and also misunderstood scientific theory in history. Even when big-shots talk about it, they babble nonsense about philosophical implications. A current SciAm article explains that, while modern physicists talk about particles all the time, the electrons and photons are really not particles. 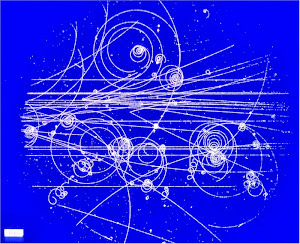 Many physicists think that particles are not things at all but excitations in a quantum field, the modern successor of classical fields such as the magnetic field. But fields, too, are paradoxical. If neither particles nor fields are fundamental, then what is? Some researchers think that the world, at root, does not consist of material things but of relations or of properties, such as mass, charge and spin. There is nothing new here. From the earliest days of quantum mechanics, Bohr and other talked about a wave-particle duality. An electron is not exactly a wave or a particle, but a quantum that has properties of both, as well as other mysterious properties. The plural is quanta. The term is popular, as I see that Simons Science News Is Renamed Quanta Magazine. In the past ten years we have seen the first commercialization of quantum randomness: the first bank transaction built on the basis of a code encrypted not by the usual algorithms of classical cryptography (which rely on unproven mathematical assumptions such as the difficulty in factorizing large prime numbers), but based on the new field of quantum cryptography: a technique for encoding messages based on the notion of entanglement between particles at long distances. Quantum cryptography has been successfully developed and commercialized by several groups over the past twenty years or so. No, this is just not true. There are no successful commercial applications of quantum cryptography. Philosophy has contributed nothing. You can tell that this guy doesn't know what he is writing about when he says "difficulty in factorizing large prime numbers". Prime numbers do not have (non-trivial) factors. Only the non-prime numbers can be difficult to factor. He also recites the usual nonsense about Kuhnian revolutions. Hawking is right. Philosophy is dead. Trying to force the meaning of "free will" beyond the simple meaning of freedom from "exterior" constraints, is an enterprise doomed to failure anyway. Is our "free" decision completely determined by internal factors? Let's assume for moment that it is not, and we see that we are in trouble. Suppose to be able to do an experiment where we can put a person in exactly the same mental situation (with the same memories, values, character, mood ...) and suppose we repeat the experiment many times, always with the same initial conditions. What would observe? There are two extreme possibilities: the first is that we see that the person will decide entirely at random. In this case the results will be just governed by chance. Half the time he will make a choice, the other half he will make the other choice. The second extreme possibility is that instead the person will always make the same choice. In which of these two cases, is there free will? I mostly agree with this. Furthermore, those two cases are not the only ones. His thought experiment cannot be carried out, and we have good reasons to believe that it could never be carried out. It is a false dichotomy. Free will has nothing to do with quantum mechanics. We are deeply unpredictable beings, like most macroscopic systems. There is no incompatibility between free will and microscopic determinism. As I have noted before, quantum mechanics teaches that our naive preconceptions of microscopic determinism and randomness are both incorrect. To the extent that quantum mechanics is relevant, it rebuts the above dichotomy and also the one portrayed in this comic. I believe that free will is a metaphysical issue, not a scientific one. Denying free will is foolish. I haven’t seen his formal treatment of the Free Will Theorem, so I can’t say I can evaluate it — much less understand it. From the interview it sounds simply like a refutation of pure physical determinism, which most of us who accept quantum mechanics don’t see as problematic. The question is whether our behaviors and “choices” can be influenced by quantum dynamics, but even if that were true it wouldn’t prove “free will” exists in any meaningful sense. But the proof of “free will” is also connected with the bizarre phenomenon of quantum entanglement. Not that I like it ~ I want a loophole to exist, but I can’t imagine what a legitimate [non-woo] loophole looks like. I would like it to be true that brains can control events, but brains would seem to be just a higher order implementation of fields, forces & particles. The problem is that they cannot imagine quantum mechanics. The so called "free will theorem" does not establish that particles have free will or exhibit genuine stochasticity, whatever those terms may mean. It is just another proof of Bell's theorem, pure and simple. Of course, Kochen and Conway do not conclude this, stating instead that measurement outcomes must be undetermined prior to measurement. However, they fail to note that this is incompatible with the other assumptions they have made. In particular, TWIN implies that measurement outcomes on the two wings have to be perfectly correlated and the only way this can happen in a hidden variable theory is if it is deterministic. Therefore, undetermined measurement outcomes is not an option unless you give up at least one of their other assumptions, with locality and realism being the obvious choices. Maybe Kochen and Conway overstate their results, and they are really restating Bell's theorem. Regardless, quantum mechanics leaves open the possibility of free will. I do not think that free will can be scientifically proved or disproved. But for those like Coyne who say it can be disproved, they ought to reconcile their supposed scientific beliefs with quantum mechanics. Algebraic and differential topology have had several episodes of excessively theoretical work. In his history [D], Dieudonné dates the beginning of the field to Poincaré’s Analysis Situs in 1895. This “fascinating and exasperating paper” was extremely intuitive. In spite of its obvious importance it took fifteen or twenty years for real development to begin. Dieudonné expresses surprise at this slow start [D, p.36], but it seems an almost inevitable corollary of how it began: Poincaré claimed too much, proved too little, and his “reckless” methods could not be imitated. The result was a dead area which had to be sorted out before it could take off. William Thurston’s “geometrization theorem” concerning structures on Haken three-manifolds is another often-cited example. A grand insight delivered with beautiful but insufficient hints, the proof was never fully published. For many investigators this unredeemed claim became a roadblock rather than an inspiration. What mathematicians most wanted and needed from me was to learn my ways of thinking, and not in fact to learn my proof of the geometrization conjecture for Haken manifolds. It is unlikely that the proof of the general geometrization conjecture will consist of pushing the same proof further. I am not really sure what he is rebutting here, as Thurston seems to concede that he never published the proof. Nevertheless, Thurston's paper is famous, and UCLA mathematician Terry Tao just wrote that he would tag it as a "must read" for all research mathematicians. No mathematician wants to be associated with a Kuhnian paradigm shifter, so this paragraph surely also prompted Thurston's essay. Meanwhile, Thurston's geometrization conjecture has been proved in connection with the solution to the Poincaré conjecture. Yes, Poincare's analysis situs led to a century of research by the smartest people to solve it. And of course the mathematical community has published the proof several times over, even if some of the original provers left some gaps.